Safety measures like seat belts prevent new injuries from occurring and prevent existing injuries from progressing to brain death. More hospital patients are surviving traumatic brain injuries - which is good news, except for those waiting on donated organs for transplants. Improved survival rates have resulted in fewer transplant organs being available, Canadian researchers found. A study published last week in the Canadian Medical Association Journal (CAMJ), examined the recovery outcomes of 2,788 adult patients admitted to regional intensive care units in Alberta, Canada, over a 10.5 year period. 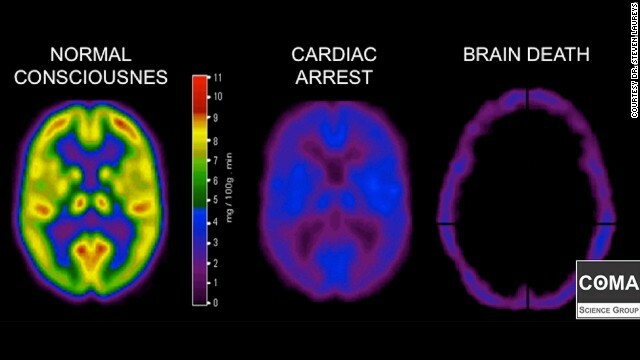 Researchers looked at ICU patients with various types of brain injuries. They found the greatest increase in survival rates were among traumatic brain injury patients. “The reason why research like ours is important is because it helps us put our finger on the pulse of what's going on, plan ahead, moving forward with appropriate strategies," Kramer said. Measures to improve safety, like helmets and seat belts, were found to have prevented new injuries from occurring and prevented existing injuries from progressing to brain death. Improved pre-hospital and in-hospital care are also likely contributing factors to increased survival rates, said Kramer, assistant professor of Critical Care Medicine and Clinical Neuroscience at University of Calgary, Canada. “You can’t look at this in any other way but to celebrate better medical care,” said Dr. Thomas Pearson, executive director of the Emory Transplant Center and director of the Kidney Transplant Program at Emory University Hospital in Atlanta. While these outcomes should be celebrated, Pearson also acknowledged the potentially negative implications for transplant organ availability. The United Network for Organ Sharing (UNOS) defines brain death as irreversible cessation of all neurological function. When the brain is deprived of blood and oxygen flow, the brain tissue dies. However, if a patient is connected to a ventilator, allowing the heart to continue to beat and the lungs tp continue to pump air throughout the body, the organs remain healthy and viable for transplantation. An official physician-declared diagnosis of neurological death, or brain death, is required prior to organ donation in the United States. One region in Canada is not the only area seeing a decrease in donors after brain death (DBD). Just across the border, Michigan saw a 4% decrease in brain death donors in 2012, according to Richard Pietroski, CEO of Gift of Life Michigan and Chair of the UNOS Organ Procurement Organization Committee. There are more than 80,000 total deaths in Michigan annually, half of which occur inside hospitals, and only 350 of those in-hospital deaths are brain deaths, he said. According to Pietroski, 86% of all deceased organ donations last year in the United States came from DBD patients. The remaining 14% were donors after cardiac death (DCD). As more people prevent and survive brain injuries, the demographic of organ donors is shifting. After brain death, the next most common form is donation after cardiac death (DCD). The number of organs per DCD donor is typically less than the number of organs coming from a brain death donor. DCD donors are often older than and not as healthy as younger donors, so they cannot offer as many viable and eligible organs for transplant, Pearson said. Experts agree, in the future, there will be greater emphasis placed upon living donors for single kidneys or partial organs such as the pancreas or liver. For deceased donors, researchers and doctors will need to maximize efficiency and care. “We need to increase the number of organs we can recover from a donor, particularly a brain-dead donor.” said Kramer, adding that on average, lungs can be recovered only about one-third of the time from donors after brain death. One reason this happens is because "current methods of preservation of excised lungs do not allow extended periods of time between procurement and implantation," according to the National Institutes of Health. Despite promising organ-donation technologies, deceased organ donors are still in short supply in the United States. We need greater respect and protections for those who choose NOT to be organ donors. Donor programs are still a stacked deck against the middle class. There is lack of transparency. Foreigners enter the queue pushing aside Americans. Fat donations and bribes corrupts the system. Some might call this "The Mickey Mantle" phenomeno. This sports hero, who drank himself to death, jumped way ahead of others. Transplants are benefiicial to mankind. But until hospitals list every receipient, with complete transparency, DO NOT PARTICIPATE IN SCAN FOR THE RICH AND INFLUENTIAL. Sounds like you want a way to keep the darkies out. Back here in America, the organ distribution system is as fair as it is possible to make such a system. Period. are you a complete moron or just one on line. Maybe they should get rid of airbags, and replace them with a sharp, retractable metal spike in the center of the steering wheel that deploys during a crash. My 21 yrs. old daughter suffered a TBI three years ago in Brooklyn, NY from a bike accident. I was told at Bellevue two days later by a nurse that she was dead and they would let her go and it would be fast. She is now back in her senior year of college and although completely blind is living on her own and will graduate. That same nurse asked me if I would be willing to donate my daughter's organs. Of course, he should have never said these things to me as it was not his place, but I wonder what was being said by the medical staff at the hospital at that time. No one knows what will happen with TBIs. As I was told by attending SCIU doctors, the brain is the final frontier of medicine. They really do not know how it will heal or recover. Obviously, I am glad survival rates are improving. As hard as it is to do...brain dead people should not be kept by artificial means. Organs are one reason. Cost is another. If your brain dies, so should the rest of the body. I know two people who are living normal lives today from kidney and pancreas transplants. One was in her 20s when she got the donated organs. You do not know how you will feel until you are faced with the choices. And cost should not be a factor in medicine. If it is possible to save someone then do it. If it is possible to donate organs to someone so they can live then do it. Cost and politics should not be a factor. US has death penalty. So... lots of high quality organs wasted. Since death penalty time can be scheduled, it also would give amazing opportunity to start planned surgeries seconds after the execution with no temporary storage needed.